The professionals at Mantis are passionate about kitchen remodeling and design. We believe that your kitchen should cater to your aesthetic and functional needs, so we’ll work our hardest to create a space that will serve you well for the long haul. Whether you’re an avid cook or simply want to improve the value of your home, we can create the beautiful, comfortable kitchen you’ve always wanted. 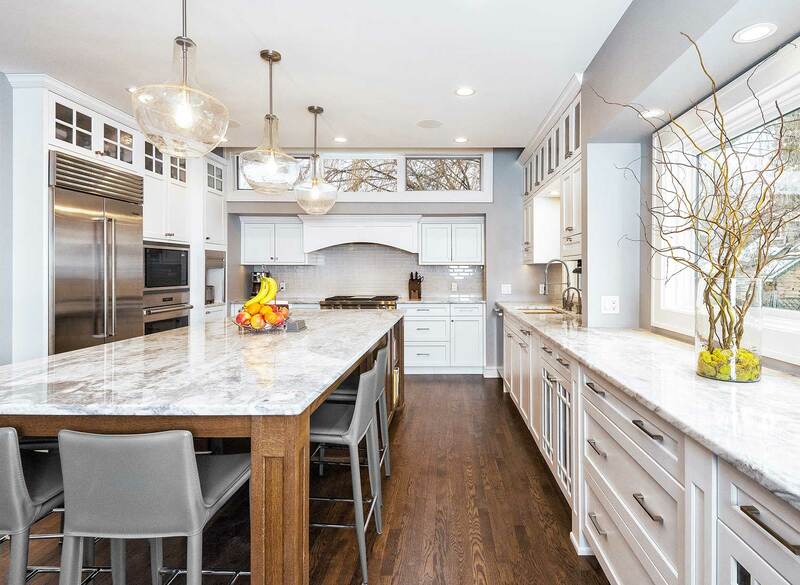 Whether you need your kitchen cabinets upgraded or your whole cooking area remodeled, the professionals at Mantis Design + Build can complete your project skillfully and promptly. We’ll assist you to plan out your entire project from start to finish. Our kitchen design and remodeling services are convenient, accessible, and affordable. We opened our doors in 2001, providing nearly 20 years of excellence successfully modernizing our clients’ homes. Our numerous local and national awards as well as our memberships with the National Kitchen and Bath Association and National Association of the Remodeling Industry speaks to our knowledge of our craft. Our commitment to great service has earned us an A+ rating from the Better Business Bureau as well as a 5 out of 5 star rating from our clients. Let our team design your dream kitchen. Call Mantis Design + Build now to discuss your needs.